So I am at an adorable cafe, Blacksmith, in Houston, Texas, sipping coffee, nibbling on biscuits, and uploading pictures, literally as I type. 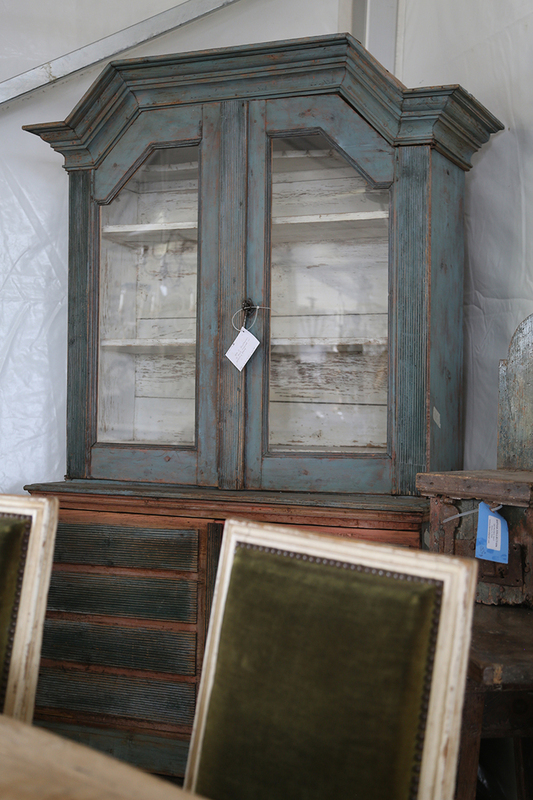 What a wild two days of antiquing in Round Top! Texas has been fantastic, and has far exceeded even my craziest of expectations. Prior to arrival, I received so many handy tips and recommendations from my design colleagues and instagram friends; for instance, prepare for no cell service, go early to claim the good stuff, wear comfortable, closed toe shoes to avoid the fire ants, and prepare for the heat! What I had not fully wrapped my head around were the huge number of separate shows (tents), that run simultaneously along highway 290. On Monday (day one), I hit the Big Red Barn, The Arbors, The Compound, and Round Hill. Each spot offered different types of goodies, and really, each had its own unique vibe. The Big Red Barn had a lot of Americana, and their Continental tent, with a well curated collection of high quality pieces, was one of my favorites. 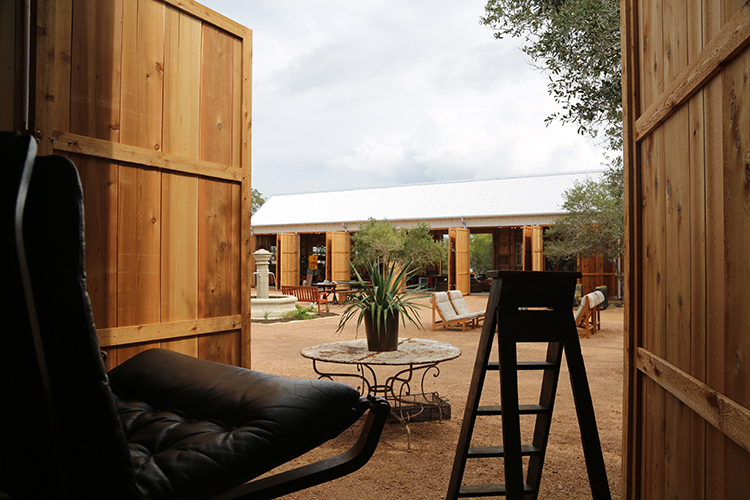 The Compund is the newest show and its beautiful modern barn setting did not disappoint (not to mention, it had an air-conditioned area to beat the heat and shop antiques and vintage items from vendors with wonderful eyes). 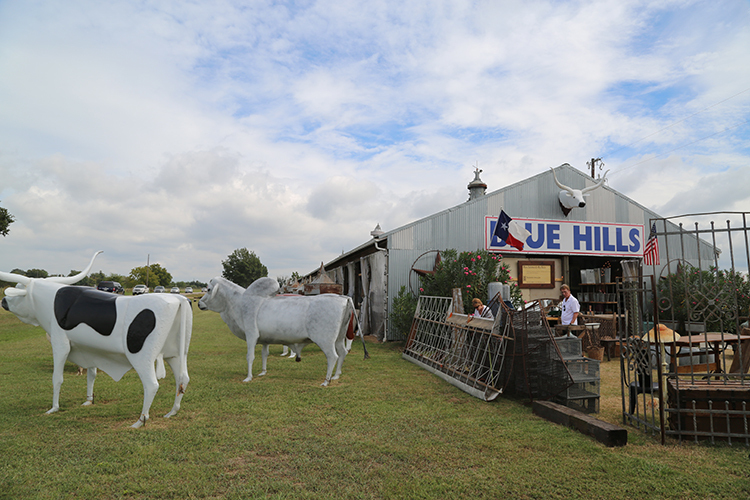 Yesterday (day two) found me at Marburger Farm Antique Show, the spot that everyone had been telling me about. It was a large, well-curated show that definitely had some of the highest end goods I saw (and the prices to show for it). While I didn't score as many deals here, it was a fabulous destination, chock full of eye candy. What I love most about attending antique shows, besides scouring for pieces for my storefront gallery, is exposing my eye to new and different dealers, items and styles. Dealers come to the table with their own perspectives, and their own unique passion for their work, which is infectious and so helpful. The design eye is a muscle that needs training, and the more that I experience, the more complete and informed my design becomes. The items we purchased for the Storefront Gallery will arrive next week and I cannot wait to share them with you!